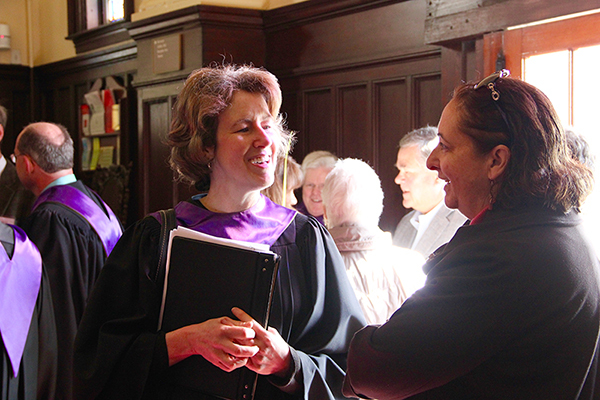 Join us for worship— you will find a warm welcome and a spiritually enriching experience. We are families and singles, kids and elders, residents of Winchester and towns further afield. Some of us have grown up in the church, and some of us are newcomers to the whole church experience. The church is located at 21 Church Street in Winchester, directly across the street from the Town Common. 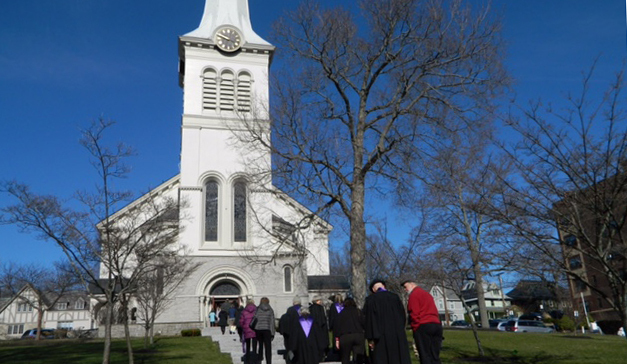 We have free parking lots on either side of the church – enter via Vine or Dix Streets. You can also find plenty of free street parking along Church Street and around the Town Common. We have lots of doors! 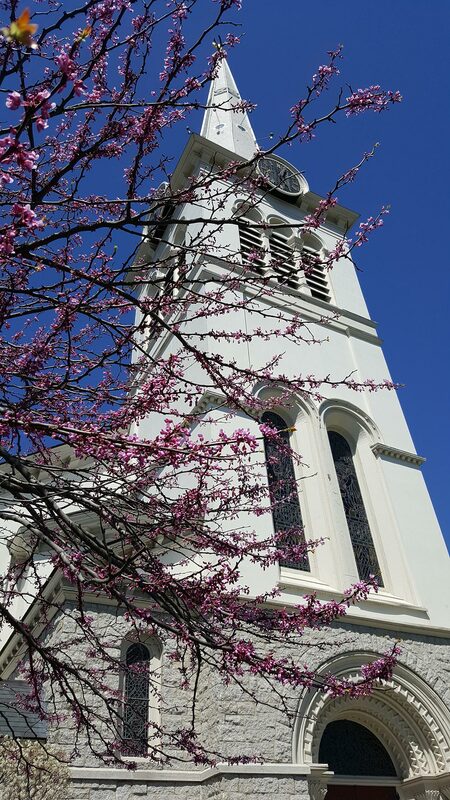 Come in through the front doors or through the side doors under our historic steeple. What’s it like inside and what should I wear? 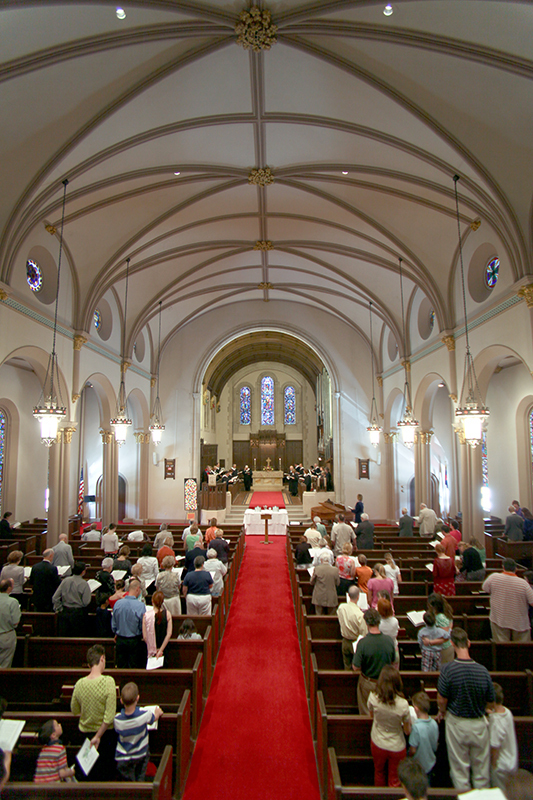 While our sanctuary is beautifully formal with cathedral ceilings, grand pillars, ornate wood-carvings, and stained glass windows, our attitudes are decidedly less formal and actually pretty easy-going. You are welcome to come as you are and wear whatever you please. You’ll find a wide range of clothing, from suits and dresses to jeans and sweatshirts. What time is Worship and how long is it? We meet Sunday mornings at 10:00 AM in the main sanctuary. The service is usually about an hour long. 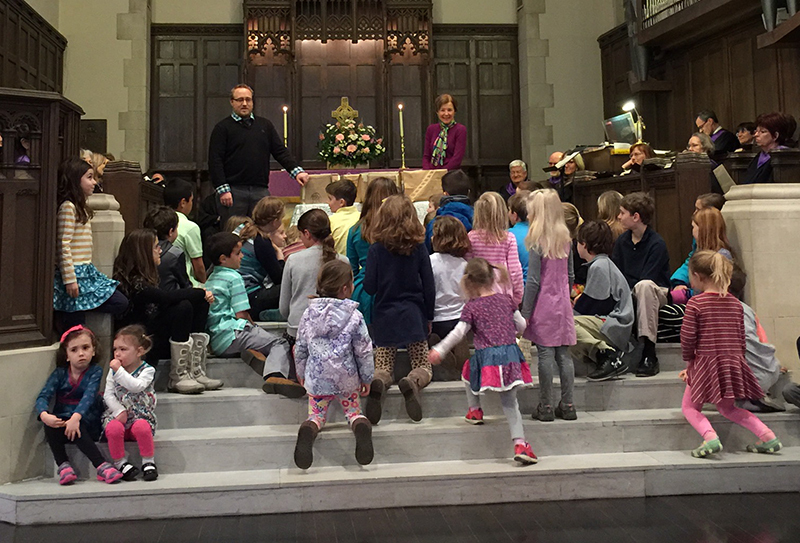 We begin worship together, and then the children depart for their church school classrooms before the sermon. The first Sunday of the month is a little longer when we celebrate Holy Communion (the Eucharist, Lord’s Supper). 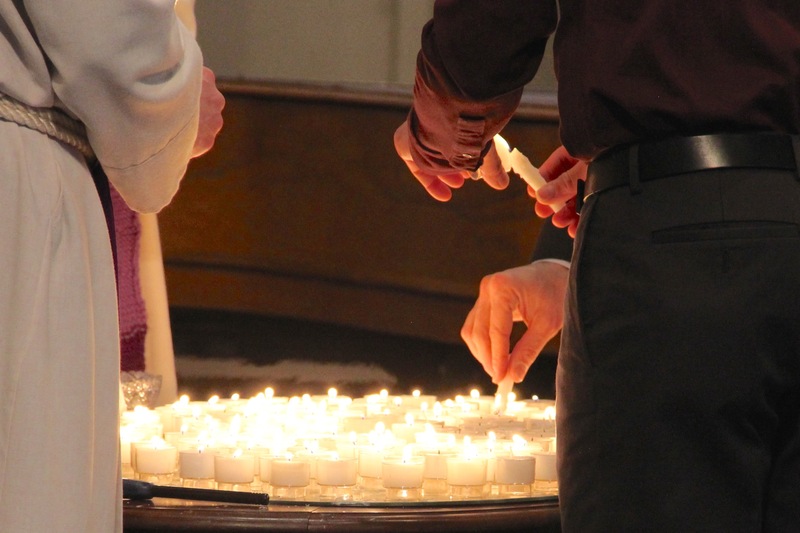 See our worship page to find out about our seasonal and alternative services. What kind of message should I expect to come through the service? We are a progressive Christian church that grounds itself in scripture and centers itself upon Jesus Christ while offering a largely liberal interpretation of the Christian faith. We believe that Jesus taught love, hospitality, and acceptance over judgment, exclusion, and condemnation. We won’t tell you what you must believe. We leave plenty of room for believers and doubters alike. Let’s explore this faith together! 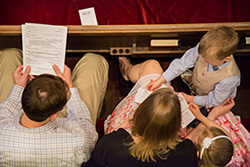 We embrace all the traditional elements of a Protestant Christian worship service with joyful hymns on the organ or piano, thoughtful preaching on the scripture of the day, a remarkable choir sharing a wide variety of music, faith-deepening prayer, and a child-focused Time for the Young at the front of the sanctuary. 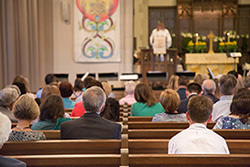 Communion (also known as the Eucharist, or Lord’s Supper) is offered on the first Sunday of the month and in the spirit of Jesus’ hospitality, we welcome everyone to the table. We love the sounds of little ones among us welcome parents to keep their children with them in the sanctuary. However, we have a nursery for babies and toddlers, tended by a childcare professional if parents would prefer. 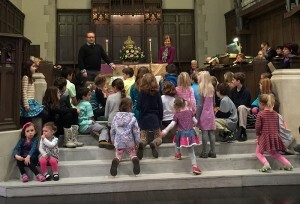 Kids age 4-15 have engaging classes during worship taught by loving volunteers. We gather together to begin worship, and then children are invited to follow a whole gaggle of kids to their respective classrooms immediately following “The Time for the Young.” Read more about our Family and Children’s Ministry and our Middle and High School Ministries for older children. There is also a comfortable family room with a video link to the service for when you need more room to attend to your family. 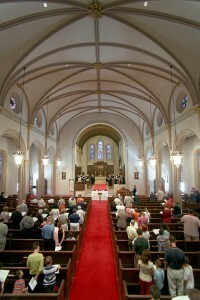 It is located just outside the doors to the right of the front chancel area. Join us for fellowship. We meet downstairs in Chidley Hall at about 11:00 AM for coffee, tea, and conversation. It’s a wonderful way to connect with one another in a rich spirit of community. Yes. As you face the front of the church, our handicap access is on the right side of the building. There is clear signage to indicate where to find our elevator and where to find the sanctuary once you are on the appropriate floor. Yes! We have an inductive hearing loop for worshipers that are accessible with any hearing aid equipped with a Telecoil. Assisted listening devices are also available. 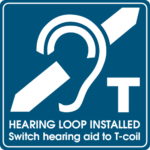 Click here to read the Hearing Loop FAQs. See our photo gallery for images of our space and community.